Glitter Tattoos are popular for all ages and an excellent alternative to Airbrush tattoos. 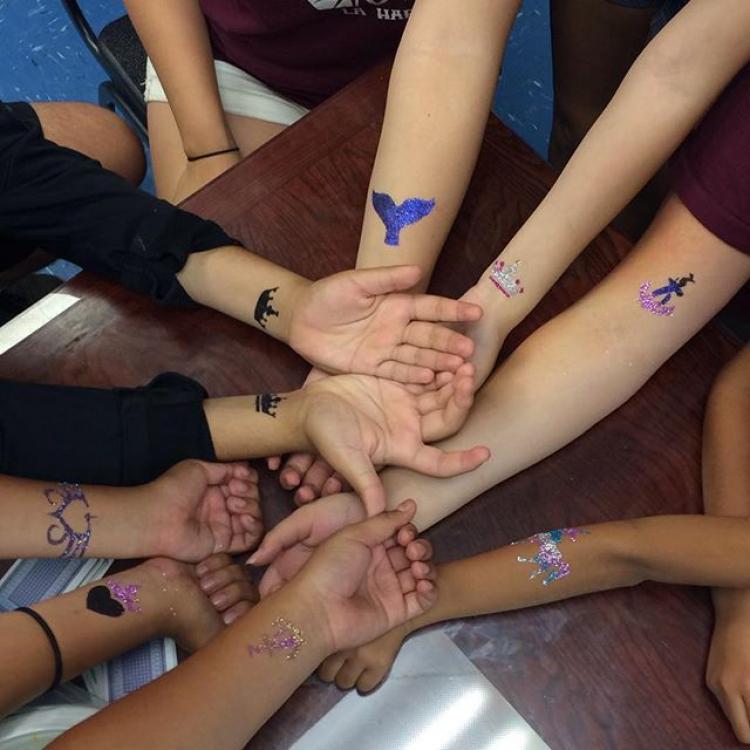 Glitter tattoos are non toxic, skin safe, and are water proof. 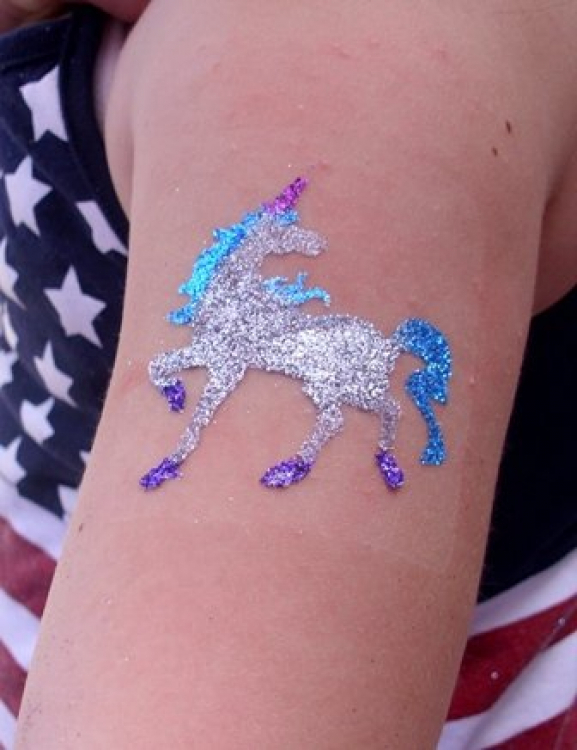 The adhesive used to apply glitter tattoos is latex free, and comfortable for even the most sensitive skin. 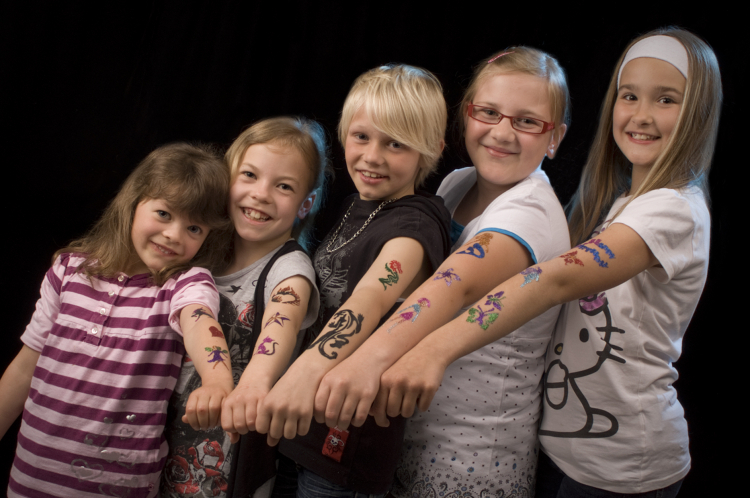 Price: $129.00 per 4 / hrs.$129.00 per 1 / hrs.